Currently I have been asked to help someone create a component/popup that appears above a table that can allow users to select a time window (the terminology used here is "bin") that will then update the table based on the selected value. Although it may already be clear, a bin is the concept of segmenting a large amount of data into fixed time interval. For example, if I have a "YEARS" worth of data and I have processed it into bins that hold "1 Days" worth of data then I would have 365 bins. What is a good component that could allow users to select a single bin from a large potential range of bins? Keep in mind data can be over a time period of 2 years and also have been "bin'ed" in to 15min segments. Also It could be 1 day time period "bin'ed" in 6hour segments. It looks like that you are able to create a custom UI component for this feature, which would give you a bit more flexibility in design, however, just because you can customize doesn't mean that you should. Let's break down the input and output that the user requires and see how well your design applies. It looks like you are using the left and right arrows to adjust the selected value, which means there is probably a default value that the marker (round dot) is sitting on. This is more suited to smaller number of incremental values where the precision and accuracy of the selection is not a problem. 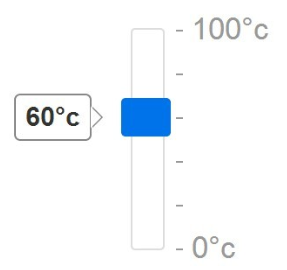 The output from the interface helps the user to quickly locate the particular bin that they want to make the selection for, but because the slider has a fixed width the increment size (reflected by the step marker - example) will change depending on the number of bins created (and therefore it cannot be displayed clearly on the slider). The display of the current value selected by the user allows the user to match the area on the slider, and therefore make adjustments until the correct bin is selected. 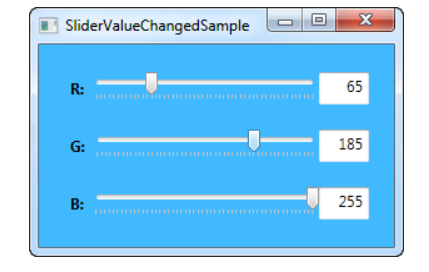 Alternatively, this can also be used as an input for the user to enter the value directly, and the marker on the slider should also reflect the change in the value entered as shown in the example below. Hopefully this gives you some idea for the input and output that you can try to customize for your control, or if you have other information that might help to design a more suitable control please feel free to comment below the answer. Not the answer you're looking for? Browse other questions tagged selection data-tables datetimepicker component complexity . What is a good way to allow a user to view and act on large amounts of data?